Memorial University’s radio station has a room with floor to ceiling shelves full of CDs for their disk jockeys to pick from but Angus Andersen never goes in there — he has his own collection. Memorial University of Newfoundland's radio station CMHR has a room with floor to ceiling shelves full of CDs for their disk jockeys to pick from but Angus Andersen never goes in there. The Inuk broadcaster has his own collection. 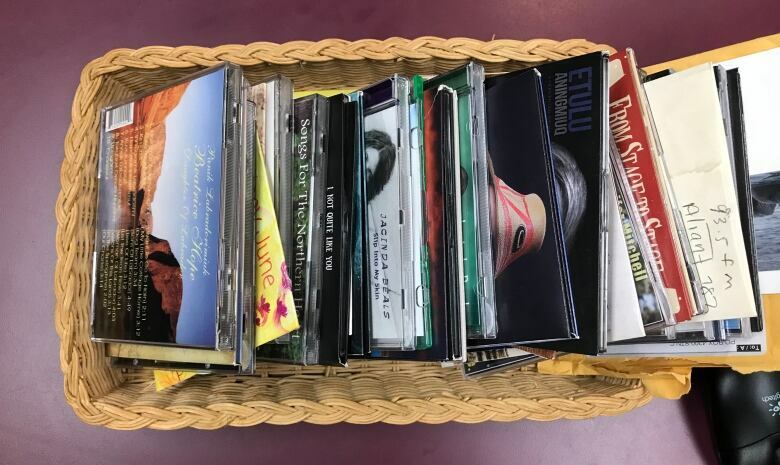 Indigenous artists who've heard about his show have donated their albums to him, knowing he plays all Aboriginal songs. "Living out here, hearing the mainstream radios, it's music you don't hear," said Andersen, who lives in St. John's but is originally from Nain in northern Labrador. "The only time you hear a song or two is on National Aboriginal Day or Canada Day — if you're lucky — so I said 'Hey, we need something different here.'" With that in mind, 13 months ago, he started NunaKakKaasimaju: First People, First Occupants. 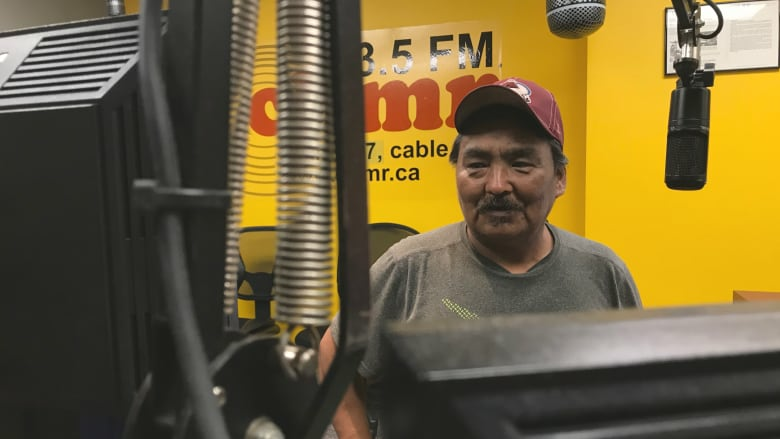 The show started out as a one hour experiment, but now runs live Thursdays from 2:00 p.m. until 4:00 p.m.
"It's all Innu, Inuit, Metis, First Nation, Greenland, Russia — any first people music I can find, I play on my show." But listen and you'll hear more than Indigenous music. "My show is in English and Inuktitut," Andersen said. "It's a bilingual radio show." He introduces songs and tells stories in both languages, one after the other. "I feel it's needed," he said. "It's for me to help preserve Inuktitut, Labrador Inuit dialect." "I was about 10 years old in school when I started losing the language," he explained. His grandma, who mostly spoke Inuktitut, noticed the change. "When I started speaking to her more in English she said if you don't talk to me in Inuktitut, don't talk to me. It was like 'Okay, I've got to get it back', so from there it was like learn, learn, learn." Andersen works as a translator now and is involved with the Urban Inuit Committee in St. John's — a group found in some of Canada's major cities to help Inuit who live in bigger centres. He advocates for his language through his work, his show and online where everyday he tweets a word in Inuktitut — a definition and a phonetic break down. People are interested in learning the language, he says, and the initiative has grown his following online. 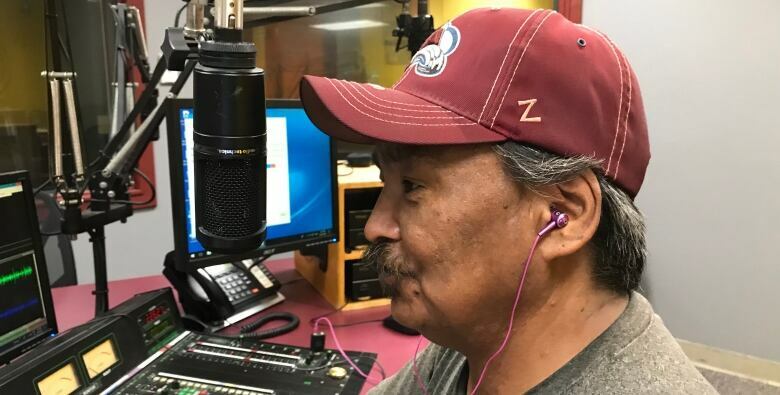 Twitter users write him and say they wish they could hear him speaking Inuktitut and when they do that, he points them to his show on CHMR which broadcasts live on 93.5 FM and online before he turns it into a podcast. "I love the show because… it's two hours where I get to be me. It's my way of giving back." Katie Breen works for CBC in St. John's.